One of the Black Country’s leading training providers has pushed the button on a £1.5m extension that will more than triple the size of its facility in Aldridge near Walsall. 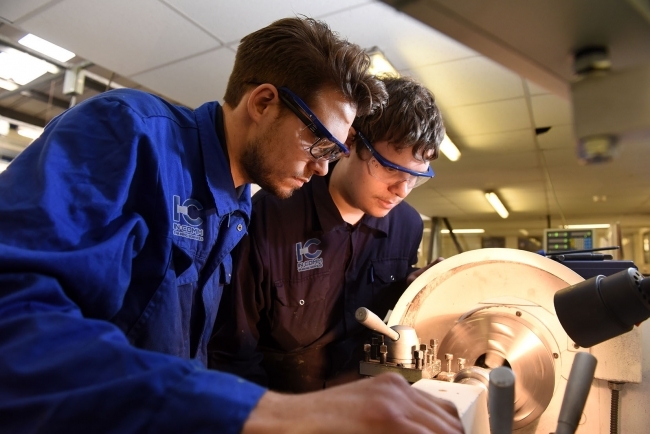 In-Comm Training, which was recently awarded ‘Outstanding’ status by Ofsted, has joined forces with workholding specialist Hyfore to develop an Advanced Manufacturing Technology Centre next door to its current site. Backed by the Black Country LEP’s Growth Deal, the ambitious plan will create an additional 16,000 sq ft of space that will be fitted out with world class CNC machine tools, automation and a robotics line, fluid power stations and a dedicated electrical and electronics section. It will also house material testing, material handling and grinding capabilities, as well as a 16-seater Mastercam and CIMCO CAD/CAM studio to help students develop their design for manufacturing skills. Gareth Jones, Managing Director of In-Comm Training, commented: “Things are happening to bridge the skills gap, but not many firms have thought about the competency gap and that involves looking at equipping firms in the West Midlands with the technical and advanced skills they need to make the most of global opportunities. He continued: “Getting Industry 4.0 ready is not just something for the big manufacturers to think of, SMEs also have to embrace it and take advantage of increased connectivity and real time data and automation. Work on the extension will start shortly and will be completed by the 4th September to welcome a new apprenticeship intake. 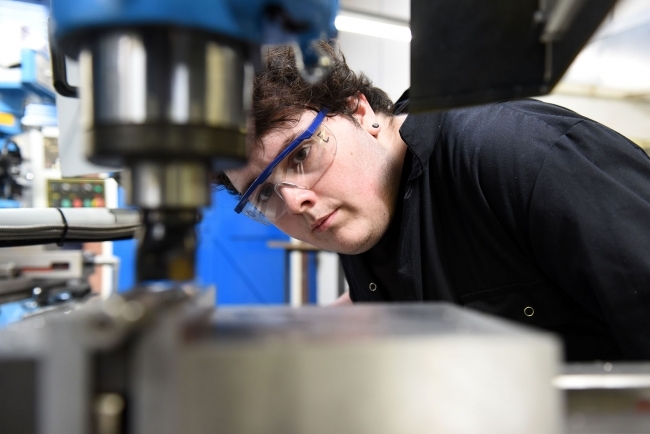 In-Comm will be tapping into Hyfore’s considerable experience in advanced engineering, turnkey projects, CNC machining and prototyping to fit out the centre with the latest equipment and in finalising some of the new Trailblazer Apprenticeship Courses. The duo has also enlisted the support of the Engineering Technology Group in supplying the CNC machine tools, Halter for the Robotic Systems and Mastercam and CIMCO for the design of the CAD/CAM suite. Sulzer Dowding & Mills will provide their expertise in motors, whilst IMI Precision Engineering will be supporting the fluid power installation. Hyfore’s joint Managing Director Gary Dickenson picked up the story: “We need technically advanced employees coming through the ranks and our customers are saying something very similar. “The UK has a great opportunity to be at the forefront of advanced manufacturing, but we’re not going to compete with our international rivals without ensuring the skills pipeline is expansive and delivering what manufacturers need. “Government can only do so much. As an industry, we need to do our bit and our involvement in this Advanced Manufacturing Technology Centre at In-Comm is a further commitment to generating the engineers of the future. Stewart Towe, Black Country LEP Chair said: “The Growth Deal is helping the Black Country LEP to invest in and change the landscape of the whole Black Country. “We are delighted to be working with partners, such as In-Comm, to develop the build of specialist training facilities to support hands on skills development across the advanced manufacturing sector. In-Comm has been offering industry and commerce a wide range of training and business solutions for 35 years. The firm has a proven track record of developing apprentices, with more than 500 learners either completing or undertaking their learning at its centres in Aldridge and Shrewsbury. It is also playing a key role in the launch of the £4m Marches Centre of Manufacturing & Technology (MCMT), a state-of-the-art training hub in Bridgnorth that is being led by Classic Motor Cars, Grainger & Worrall and Salop Design & Engineering.